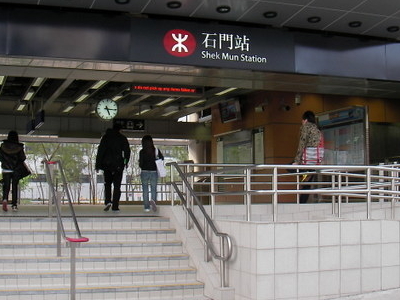 Shek Mun Station is a station on the Ma On Shan Line of Hong Kong. To the west, it serves the Shek Mun Industrial Area and northeastern portion of City One, including Siu Lek Yuen Playground. A new campus of the Hong Kong Baptist University (including a primary and a secondary school) is situated just outside exit D, to the east, of the station. Here's the our members favorite photos of "Metro Stations in Hong Kong St. John's Cathedral". Upload your photo of Shek Mun Station!